We want to show our appreciation for signing up to our P4X Community Newsletter by offering you an exclusive 20% off your first order coupon. Check your email for more details! What can you expect now that you’ve signed up to our newsletter? It’s simple. You now have access to the latest videos, news, events, products, swag, discounts, and more! Now that you’ve received your limited time offer what are you waiting for? Check out our all new P4X Pro Shop. Most of our swag is limited short print runs and sells out quickly so don’t delay! Great Chair! Will last forever! Great Company All the staff has been awesome! They take a real interest in their customers. Per4max chairs are the perfect tool needed to perform at the highest level. Top of the line sports chairs, and great customer service! The best chairs around and the best guys to work with. Everyone at Per4Max is great! Great product, great service great experience! 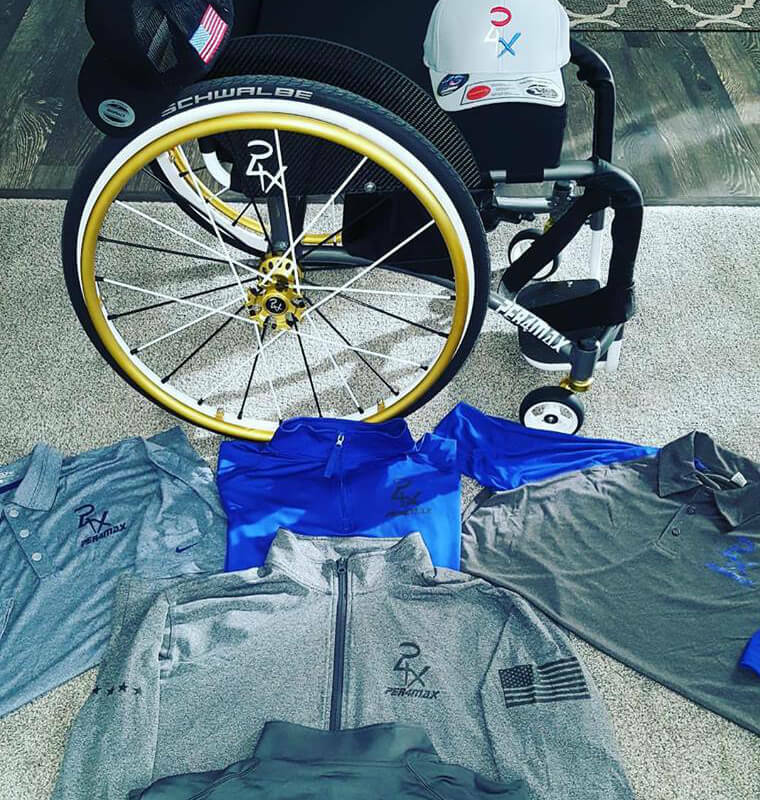 CUSTOM LIGHTWEIGHT WHEELCHAIRS DESIGNED FOR CHAMPIONS.